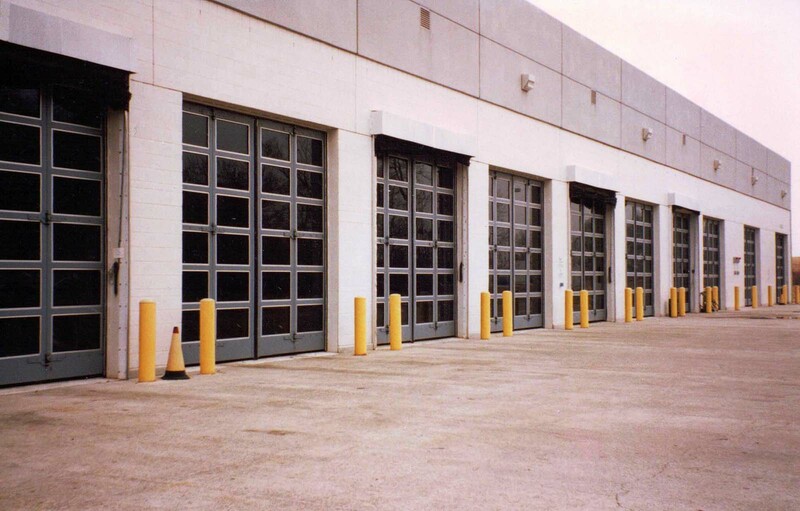 EPD Doors find themselves applied to various applications in manufacturing facilities. Some manufactured items are very large and often require an overhead crane to move them. 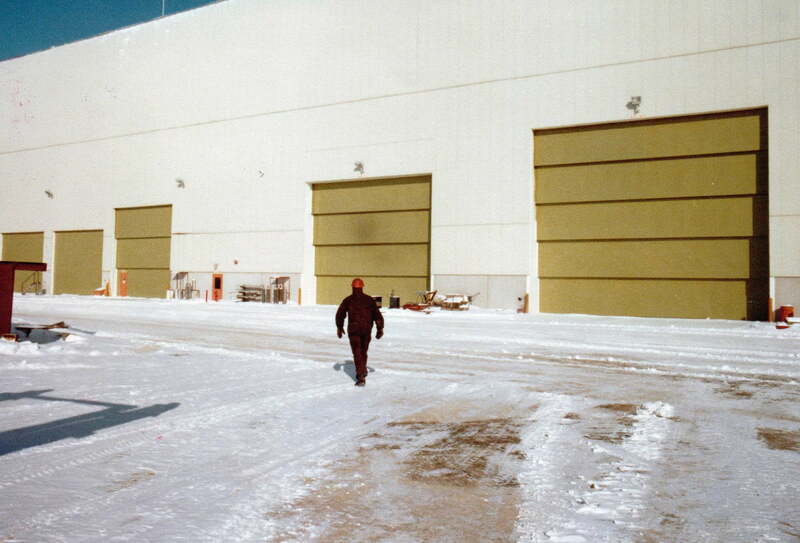 EPD provides craneway doors that allow moving these articles through the facility. 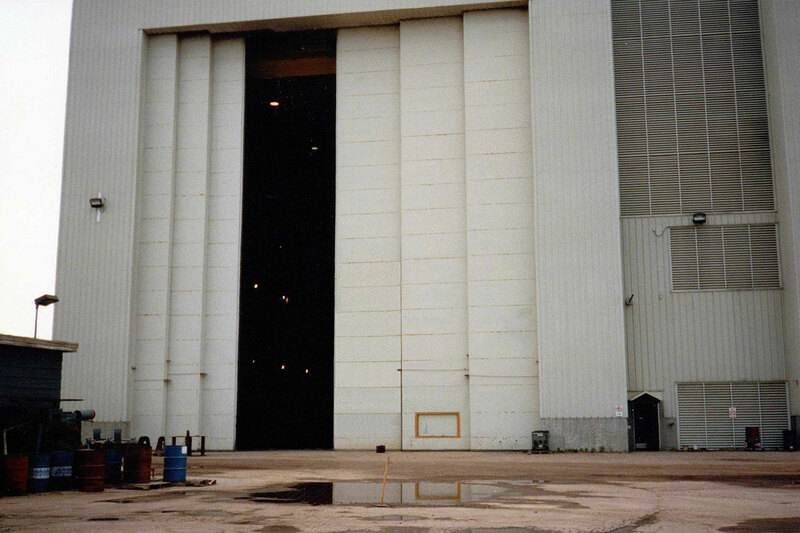 Craneway doors can be supplied for either top-hung or bottom rolling bridge cranes. Doors are also available for monorail cranes. 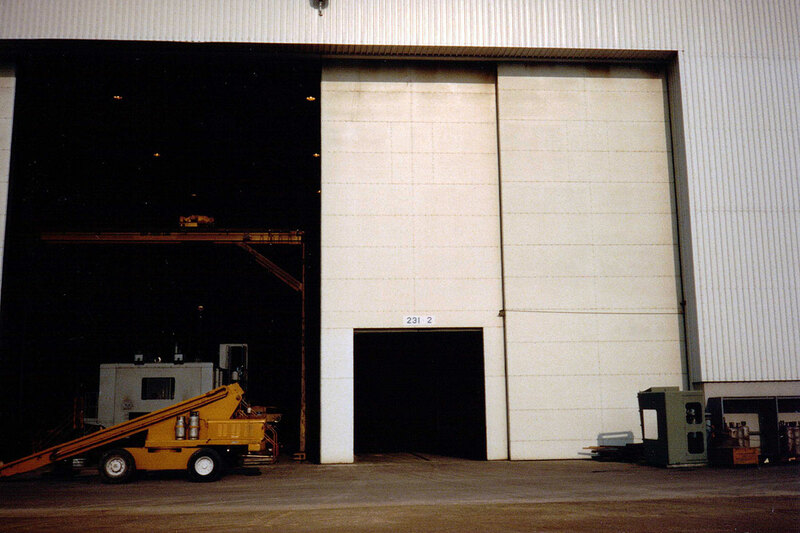 Other manufacturing facilities require roof or floor hatches to allow moving equipment or materials from one floor of a building to another as part of the manufacturing process or for equipment maintenance. EPD Floor Hatch Bethlehem Steel Facility Burns Harbor, Indiana. 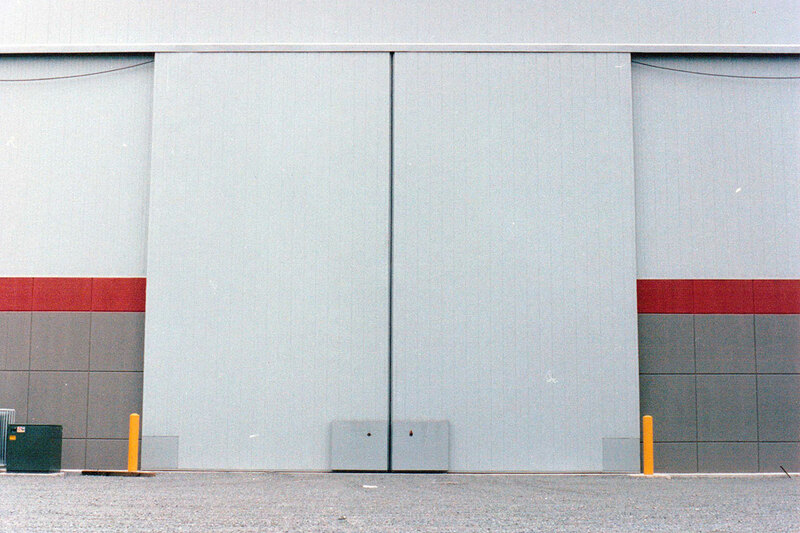 EPD Model 41 Fully Glazed Four Fold Doors. The Plain Dealer Newspaper Maintenance Garage Cleveland, Ohio. 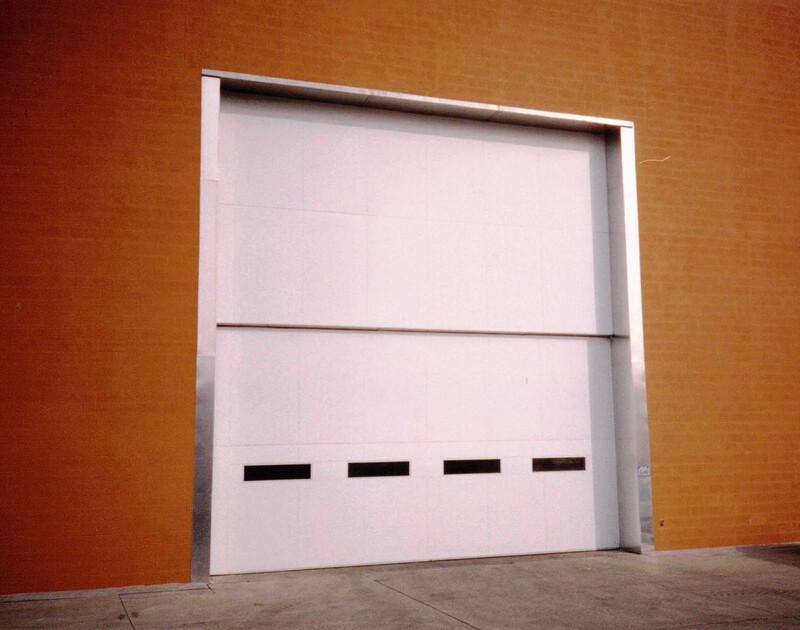 EPD Two Section Vertical Lift Door. Ebner Furnace Manufacturing Facility Wellington, Ohio. 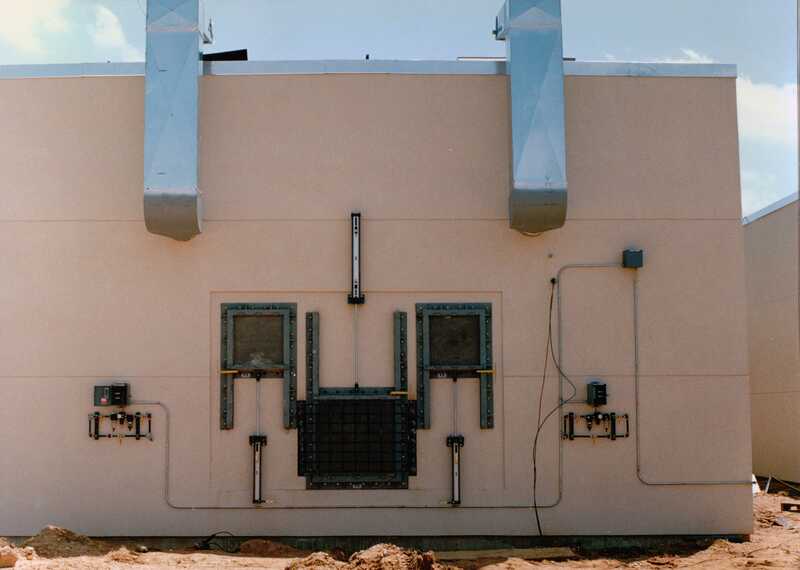 EPD Bottom Rolling, Bi-Parting Sliding Door Arkla Compressor, Little Rock, Arkansas. Vertical Lift Manitowoc Crane WI. 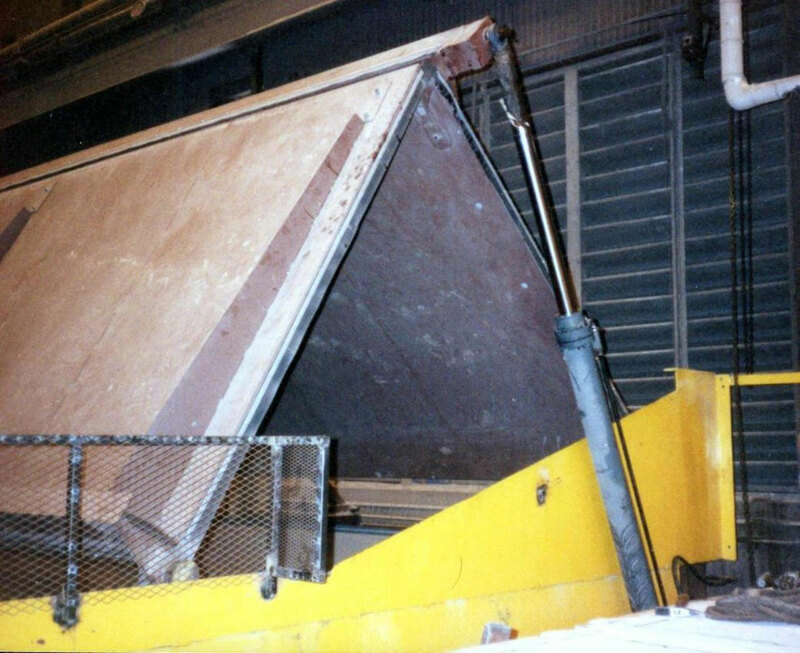 Bottom Rolling Sliding 4 Leaf Bi Parting with Fabric Door Manitowoc Crane WI.